- Build a wall using large blocks or tissue boxes. 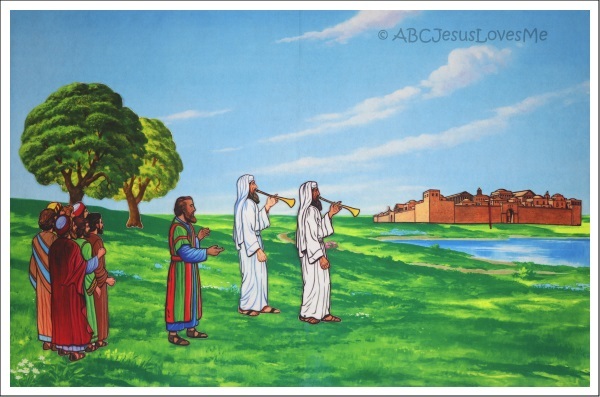 March around the wall and blow a horn. Knock the walls down. - Make musical instruments to play as you parade around the walls.